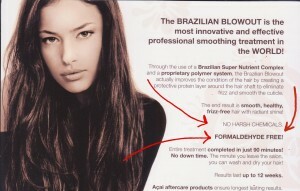 We are thrilled to be offering our clients The Original Brazilian Blowout! Now here at Head Hunters Salon. Through the use of breakthrough bonding technologies, these customizable smoothing treatments actually improve the condition of the hair by creating a protective protein layer around the hair shaft to eliminate frizz and smooth the cuticle. 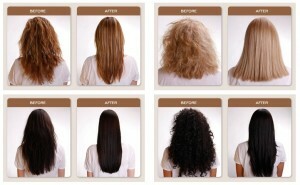 Known for significantly reducing drying and styling time for up to 12 weeks, with no down time after leaving our Salon. No waiting to wash your hair or exercise after this treatment giving you the convenience and flexibility to enjoy activities. Improve overall condition of the hair, lock in color, and reduce styling time after just one Blowout. 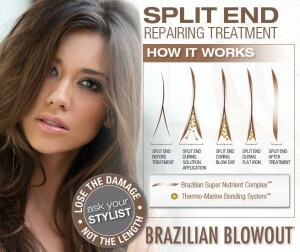 As the only in-salon service that instantly strengthens, repairs, seals, and protects ends for 4 weeks in only 10 minutes, the Brazilian Blowout Professional Split End Repairing Treatment is now also offered here at Head Hunters Salon! The Split End Repair reconstructs & repairs broken strands, seals split ends instantly, protects against heat styling and future damage all while preserving the shape of precision cuts between appointments.